Deep black coats must be solid and shining. 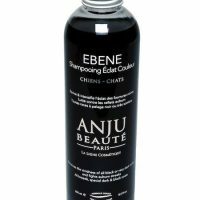 ÉBÈNE is a beauty care shampoo formulated with active principles to enhance and intensify the shine of black or mostly black coats. The color enhancement effect is the result of amphoteric tensio-active complexes which help natural pigments penetrate deeply into the hair scales and lock them in there while drying. Aloe Vera is rich in organic acids and has anti-oxidant and anti-radical properties. ÉBÈNE also includes an anti UVB Filter, essential to protect and fight against red lights in the coat. Pro-vitamins add extra shine and hydration. 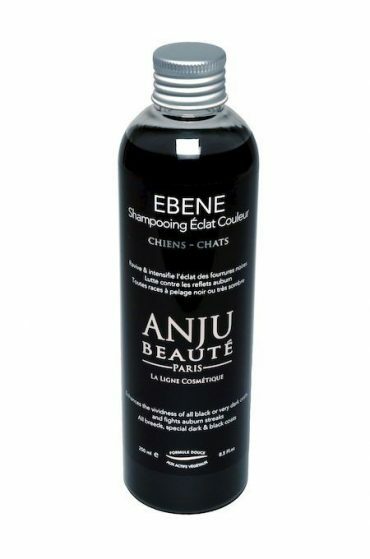 The black color intensifying effect is cumulative, so using ÉBÈNE regularly will regain and maintain a shining, intense black.